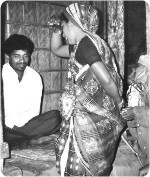 The villagers call her as “Chhanar Ma”, but her name is Dalim. She is about seventy. In the first phase, she performs as a Bhangure (someone who is intoxicated on bhang). On the other hand, if he tried to wipe it out with the wet piece of cloth he held in his hand he might awaken the Princess, and she might misconstrue his intentions. At last he decided to softly and carefully wipe out the drop of blood with his tongue. The flowers ranged from lilies to wild flowers, and the fields changed from tea gardens to forestry. At some points the surface was level and at some points there were hills with completely random formations that passed away behind me before I could make out their shapes. 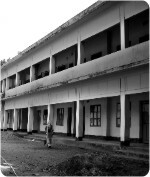 The lands were acquired in 1960-61 for the extension of the school but these plans did not materialize. Furthermore, locals, due to the lack of concern on part of the authorities, simply grabbed much of the land.